Dee Strum says women can reinvent themselves and start a business. Officially, the United States is slowly emerging from a recession, but for African-Americans — especially women — current conditions add up to another Great Depression, Dee Strum believes. But Strum, an Indianapolis entrepreneur and president of the National Coalition of 100 Black Women Inc., counters her sobering assessment of the present with an energetic prescription for the future. For Strum, it comes down to empowerment — through education, determination, persistence and changing public policy to increase racial and gender equality. The coalition’s 15th biennial conference, on the 30th anniversary of its 1981 founding — Strum was there from the beginning — will be this week in Indianapolis. Conference speakers and workshops will cover health, education and economic development, and all of those issues are complicated by local, national and global economic woes, she said. African-Americans are being hit disproportionately hard, with unemployment in the double digits. They are struggling to survive financially, despite having followed the standard advice: Get a good education, get a good job and plan for a pension. Many older black women are finding their pensions aren’t worth what they expected and are going back into the workforce with years of experience. But younger black women who earned college degrees to position themselves for careers are applying for the same jobs, Strum said. “We’re competing against ourselves at both ends of the spectrum,” she said. Part of the solution is for women to start their own businesses, Strum said. But many grew up with a model that no longer works well, she said, and black women must be almost re-trained to realize they have the skills to set out on their own. “Let’s look at opportunities to make a job instead of take a job,” she said. 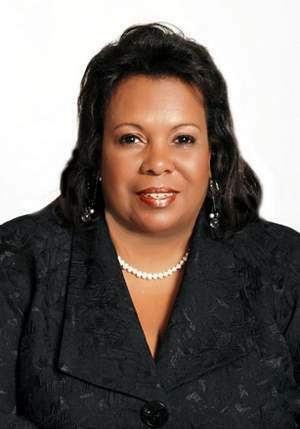 One of the conference speakers, Marie Johns, deputy administrator of the Small Business Administration, will cover government assistance for “women-owned small businesses,” and coalition members are ready to mentor women ready to take that step. Strum said she understands that step is daunting, and success does not come easily. But Strum points to small business development — particularly among women — as being the leader in economic recovery so far. And that’s where ongoing recovery will occur, too, she said. As business owners, women can draw on their individual power and build collective power, the latter vital to influencing public policy and politics, she said. In the upcoming elections, women who become knowledgeable about the issues and participate in the process can determine the nation’s future, she said. Strum empathizes with those who feel disconnected from politics, particularly with gridlock in Washington, D.C., but is fervent in her zeal to get women to make their voices heard. Dale Carnegie Training applauds the initiative Ms. Strum is taking, and wholeheartedly agrees with her assessment that it is only through education, determination, and persistence that public perceptions regarding increased racial and gender equality will come about.